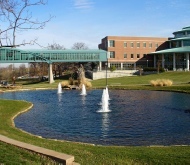 Since the Municipal Park Grant Commission of St. Louis County was formed in 2000, it has awarded over $71 million in grant money to municipalities in St. Louis County. 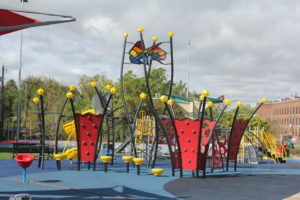 The grants have been used to fund park renovations and explanation projects including; playgrounds, water parks, golf courses, trails, recreation centers, ice rinks and many other types of recreation facilities. This money is awarded to municipalities based on the strength of their grant applications, taking into account such factors as need, planning, community input, and prior awards. Round 20 Grant Applications will be available on Monday June 3, 2019. Any St. Louis County municipality can apply for a grant. Park grants are reviewed and approved annually. Grant rounds begin the first Monday of June and the round closes at 4:00 PM the last Friday of August. The grants are reviewed, scored and awarded by the end of November. In order to assist municipalities in developing strong, well-planned, applications, the Commission created a Planning Grant program. This program awards grants to municipalities in order to help plan future parks and recreation projects. Unlike the implementation grants, planning grants must be met by a 20% match by the municipality, and cannot exceed an award amount of $6,400. Download Planning Grant Application and return completed application and support documents to the Commission’s office. Please note that this year the amount cities can request has increased to $6,400. Planning Grant application are open year round. Planning grants must be submitted by July 26, 2018 for consideration at the next schedule Park Commission meeting on August 2, 2018.